In 2011, Giants fans saw Sergio Romo put up one of the most impressive relief efforts in recent memory. In 2011, the 28th round draft pick pitched in 65 games, allowing just eight earned runs and 34 baserunners in 48 innings. He finished the year with 1.50 ERA and 0.708 WHIP, and even pitched a reliever’s perfect game: between July 6 and August 6, Romo pitched ten perfect innings in a row. 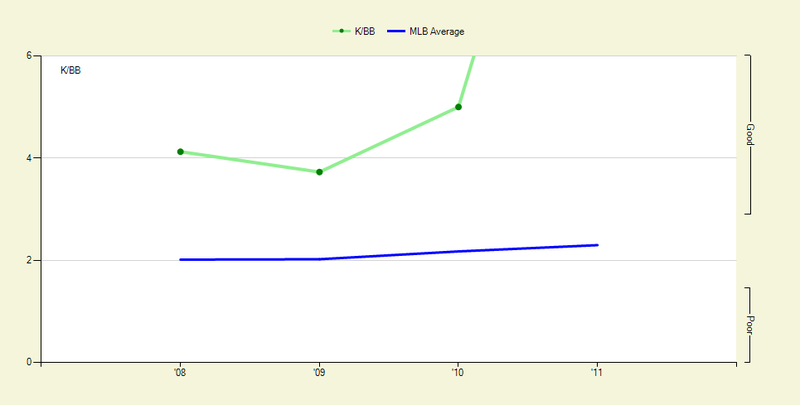 Along with his excellent strikeout rate, he almost never surrendered a walk, and his K/BB was literally off the charts. But you all know how good he is. Still, not all was well in the land of the sliders. Early in the year it became clear that Bruce Bochy was using him selectively, sometimes for just one or two batters, instead leaning on other relievers in situations that could normally have used some Romification. As the season wore on, what started out seeming like Bochy mishandling began to seem more like selective use because of an injury; these suspicions were confirmed when Romo hit the DL in August, and reports of his elbow issues and his trick knee entered the public consciousness. Looking at Romo’s numbers, it’s easy to forget how fragile he is, and it’s not a huge stretch to say that his effectiveness could wane if he were pushed to pitch more often. Romo was one of four Giants relievers to pitch in more than 60 games last year; Romo’s 48 IP was miles behind Ramon Ramirez’s 68.2 IP and Jeremy Affeldt’s 61.2 IP, and even behind so-called “specialist” Javier Lopez, who pitched 53 IP. Romo averaged just 10 pitches and 2.2 outs per appearance, and he pitched for more than three outs just four times, lowest among those relievers. Now, with news coming out of Scottsdale that Romo’s elbow is a “little cranky,” according to John Shea of the San Francisco Chronicle, it seems like we could see a familiar story in 2012, and we could see his role change a bit. There’s plenty of hard-to-understand science talk about the terrible things that pitching breaking balls can do to one’s arm, and Romo seems like he’s not immune. Since 2008, Romo has been one of the game’s top relievers. Among non-closer relievers, Romo led the league in K/BB with 5.63, and was fourth in ERA with 2.33. Still, he’s never been a workhorse. Since 2009, Romo’s first full year in the majors, he has pitched just 144 innings. Among pitchers who pitched in more than 120 games since 2009, with an ERA below 3.00 and and fewer than 20 saves, Romo was 17th out of 23 in innings pitched. If you include closers in the mix, Romo is 29th of 37. 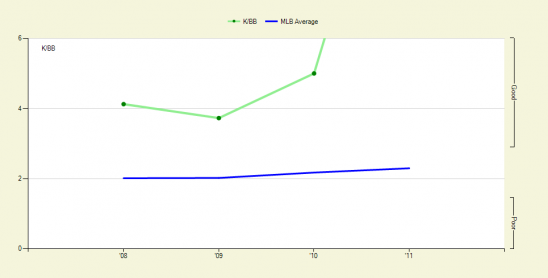 He pitched 62 innings in 68 games in 2010, but that’s looking more and more like an outlier. Romo is, simply put, not built for stamina. This year I’m prepared for Romo to pitch very well, but I wouldn’t be surprised to see him used carefully as something of a one- or two-out specialist. Romo pitched extremely well in limited time last year, and can be counted on against righties and lefties when needed. He still fills an extremely useful role on a team, and should be a crucial reliever in the late innings. However, I’m not sure that the 8th inning is his anymore. Given Brian Wilson’s own stamina issues and Wilson’s own predictions that he’ll be limited this year (thanks to Mark Purdy), I doubt that Bochy will want Wilson pushed into situations that necessitate a 4-out save. 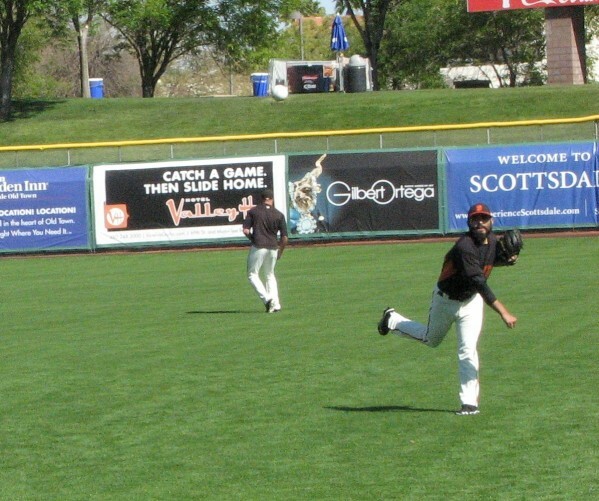 Affeldt, who has shown multi-inning stamina in the past, could end up as the 8th-inning guy, with Romo pushed to the 7th. That way, if Romo has to leave in the middle of an inning, Affeldt could come in to clean up, and then stay on in the 8th and save Wilson for the 9th. We’d all like to believe that the best relievers should pitch in the most crucial situations, but we should be prepared for Romo to fight his health issues all year. Luckily, with this pitching staff, I think we’ll be okay. 1 comment to What is Sergio Romo? I definitely didn’t name my fantasy team “Romo’s Sliders” before reading this article.